There is no doubt that the pivotal point of this match came as early as the 3rd minute when Dave Bowman was dismissed. Following a clash with Keith Wright, the United skipper was red carded and the Hibs striker booked. It is often argued that it is more difficult playing against ten men, and whilst United's effort could not be faulted, the handicap of playing so long understrength was the telling factor in this defeat. Having said that, Jim Leighton was undoubtedly the busier of the two keepers. Indeed, he had just pulled off two great saves immediately prior to the visitors taking the lead. First the Scotland keeper tipped over an Owen Coyle shot and then demonstrated his international class with a tremendous stop when Gary McSwegan's contact with a Steven Pressley cross looked to have beaten him. There was consternation in the ranks when Hibs raced up field. Armand Benneker slipped which let in Lavety. 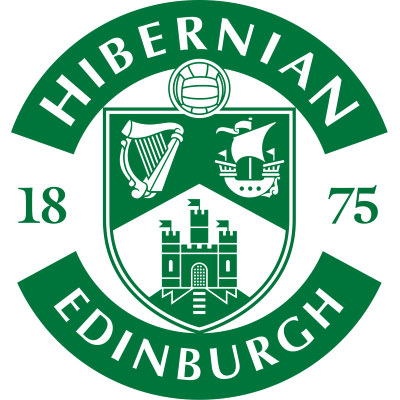 Only a magnificent save by Ally Maxwell kept out his volley, but the Hibs newcomer who had attracted interest from United picked up the rebound and his cross to the far post was headed in via the far post by Kevin McAllister. 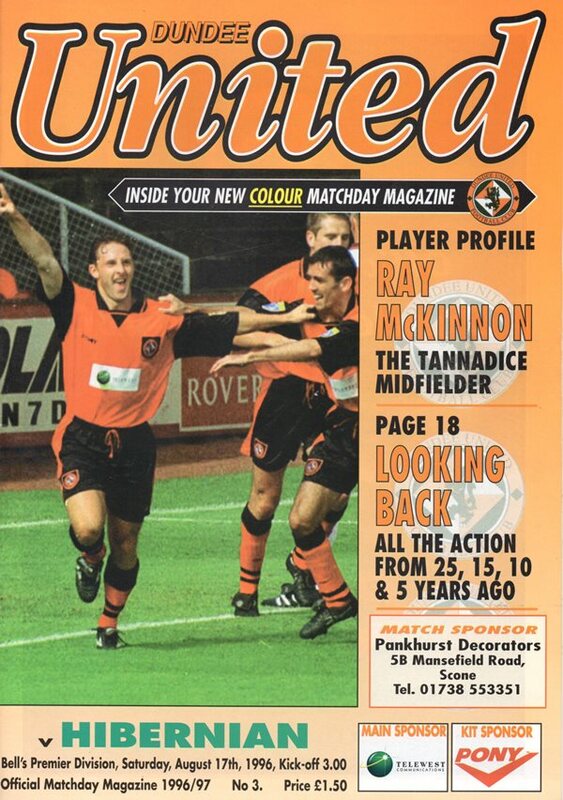 Brian Welsh making a quick return to Tannadice, almost made contact to put the game beyond United's reach on the stroke of half-time. United remained well in contention and were unlucky to see Andy McLaren's volley from Owen Coyle's cross come back off an upright. The United flankman then shot inches over after a fine solo run, but that was to be typical of our luck that afternoon. And exemplifying that further was a Neil Duffy header which slipped past the post nine minutes from the end and with that went any hopes of salvaging a deserved point.